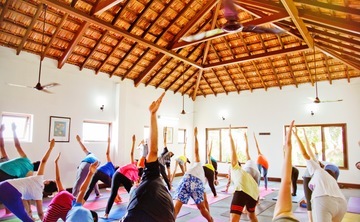 A Kundalini Yoga teacher certified by the Kundalini Research Institute, Los Angeles, Bijay combines the wisdom gleaned from his years of practicing Hatha, Ashthanga and Iyengar Yoga and exposure to ayurveda and naturopathy to offer a holistic programme geared towards enhancing the health and happiness of his students. 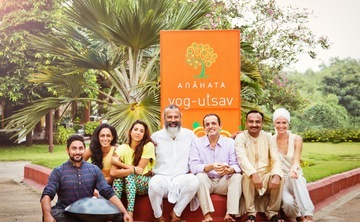 The underlying philosophy behind all his teachings is love and the key role that our Anahata Chakra has to play in the happiness quotient of our lives. He was introduced to Kundalini Yoga for the first time by Gurmukh Kaur Khalsa in 2012, and this was the turning point in his life. Apart from teaching regularly in India, Bijay has also been teaching in countries like Mexico, Canada and the UK. Bijay recently completed a book titled ‘Mindlessness to Mindfulness’, scheduled for release in December this year.